Flex is what you need when it's time to bring in the heavy artillery. Flex is the strongest prespray in the Bridgepoint line. Flex dissolves soils and oils so quickly, that on some carpets, you can actually see it working. 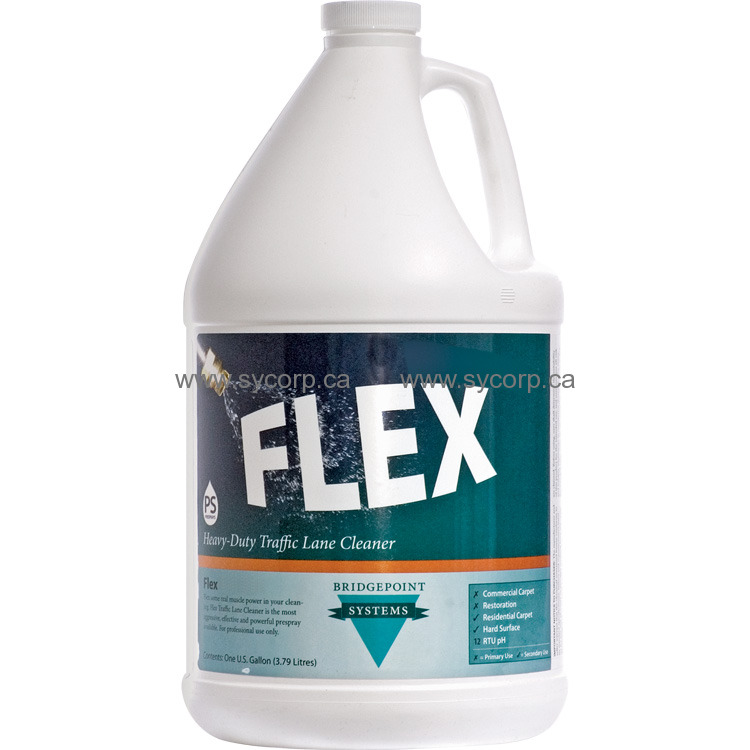 For use with Hydro-Force sprayers: Add Flex directly to the 5 quart container. The proper dilution is automatically achieved. Revolution, Pump or Electric Sprayers: 1 part Flex to 8 parts hot water (16 oz. Flex to 1 gal. hot water). Extra Heavy Soil: Add 8 oz of Citrus Solv to 5 quart container when using the Hydro-Force.